The Rams stole two bases over the 3 game sweep vs Dayton. 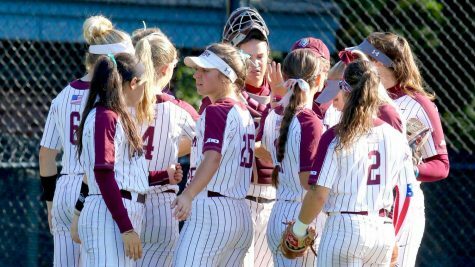 The Fordham Rams are back on top of the Atlantic 10 standings this week after a sweep of Dayton over the weekend. 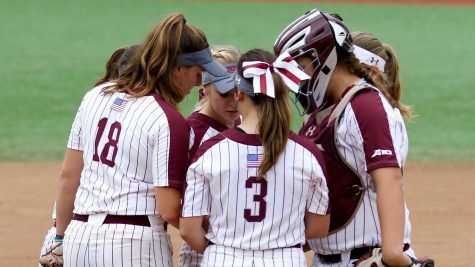 A rash of injuries had been hurting the Rams’ play, as the defending champs dropped out of first earlier in the season after a series loss to UMass, but, just as head coach Orchard predicted, Fordham is once again in first place, and not a day too soon as we near the end of the season. 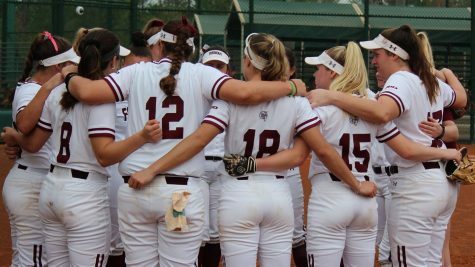 The Rams opened their big series against Dayton on Saturday with one of those walk-offs, as Lauren Quense tossed yet another gem in route to a win. The pitchers controlled the game from the start, as Quense and her counterpart, Manda Cash, traded zeroes for the first three innings. The Flyers finally broke through against Quense in the fourth, when Julia Blarr walked with the bases loaded to make it a one run game. But Quense would escape from the jam and settle in for the rest of the game. 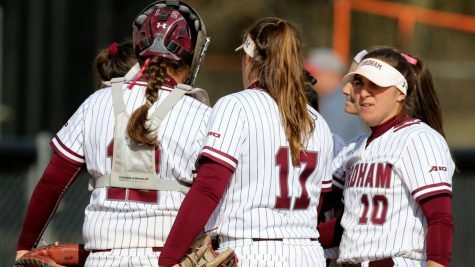 Yet, the Fordham offense was still being stifled by Cash through the sixth inning, but in the bottom of the seventh, with two outs and no one on, something clicked for the Rams. Sydney Canessa walked and went to third on an single by Jess Hughes. The next batter, Madison Shaw, did not miss her opportunity, knocking a 2-run, walk-off double down the line for the 2-1 win. 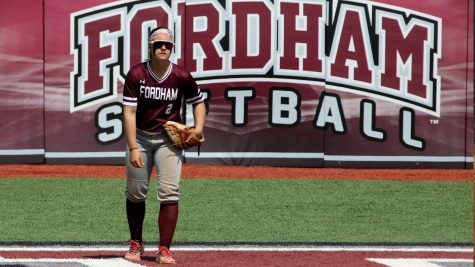 The second game of Saturday’s no hitter was another nail biter, as Madison Auginbaugh took the field circle for Fordham. She did not get off to a great start, allowing an RBI single to Kyle Davidson in the first to give the Flyers a 1-0 lead. 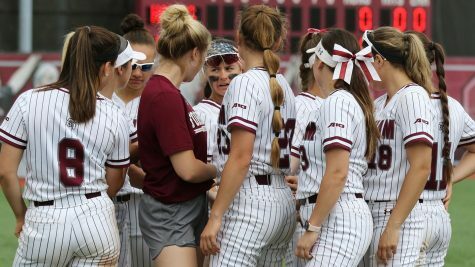 But the Rams came right back in the bottom of the inning tying the score when Shaw walked with the bases loaded, but they were unable to capitalize on the opportunity. Auginbaugh got in trouble again in the second, allowing two RBI singles to give Dayton a 3-1 lead. But Auginbaugh settled down, and Taylor Stocks, who replaced her in the fifth inning, was lights out. 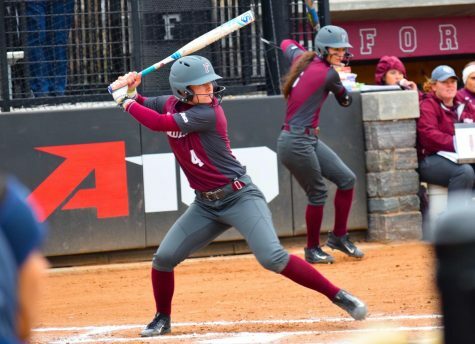 Fordham was able to grab the lead in the third when Lauren Quense hit a huge, three-run homer to put the Rams up 4-3. 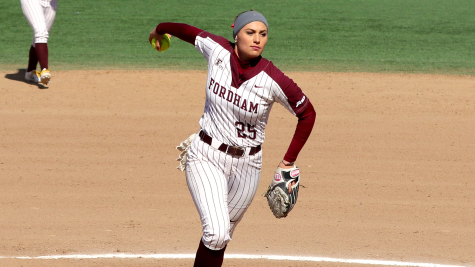 That was the final score, as Fordham’s pitching came up big again. The Rams would go for the sweep on Sunday as Lauren Quense took the mound fresh off of her complete game from the night before. Dayton would jump out ahead when Kyle Davidson hit a solo shot in the first, but the Rams were able to respond with a run of their own in the bottom of the inning, courtesy of an RBI single by Skylar Johnston. And that would be the last of the scoring until the final at-bat of the game, as Quense, once again facing Cash, tossed five consecutive scoreless innings. 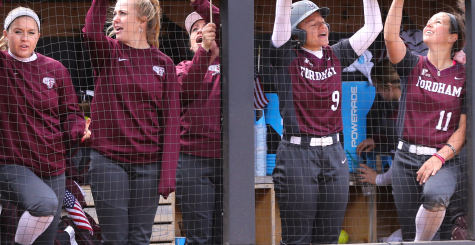 The Rams were finally able to break through with a walk-off single by Maddy Shaw in the bottom of the seventh, giving them their second walk-off win and third one-run win of the series. The Rams are now 15-5 in the A-10, tying for first with UMass, and 39-13 overall this season. This week they wrap up the regular season with a game against St. John’s at home on Wednesday and a weekend series at La Salle. 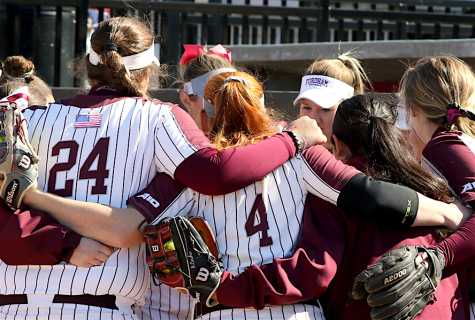 The A-10 tournament will take place from May 10-13 in Fairfax, Virginia.